Expect the unexpected at Sofitel So. Molteni, the legend at the heart of “Xperience”, Sofitel So, Singapore’s top luxury boutique hotel. Tailored in services, style and technology, Sofitel So delights its guests with a fusion of Asian culture and French art de vivre. This combination teases senses with tantalizing cuisine from the executive chef, Anne-Cecile Degenne, at the restaurant. Opened in August 2014, “Xperience” at Sofitel So offers a first-of-its-kind gastronomic culinary experience. There, in the heart of the “Xperience”, right in front of its guests, one can observe the magic of Sofitel So’s culinary expertise on the premium Molteni stove – the dream of every great chef. Anne-Cecile has created a new selection of dishes based on different textures, deviating from the traditional restaurant approach of serving entrees, main courses and desserts. She assembles dishes by grouping them based on texture (“crunchy”, “smoky”, “spicy” etc) and portion size (single tasting, personal or sharing portions). 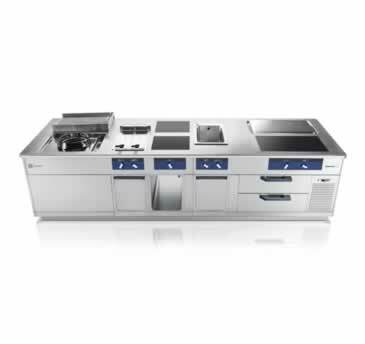 The Molteni stove is assembled with different pieces of fully customised kitchen solutions in order to enable the chef to sauté, grill, boil and refrigerate at the same time. 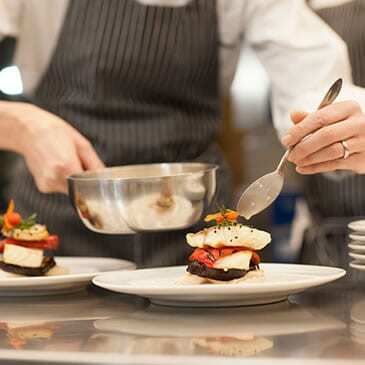 Guests are then able to make selections according to their taste, texture and portion size. My kitchen is where my professional life happens. Where I create, improvise and perform and Molteni is the best stove it can be. This piece is the most precious, professional-grade instrument for delicious results every time, it’s the best collaborator and our best friend in the restaurant” says Anne-Cecile. Before Xperience, she used to work with Molteni kitchenware and chose again to use this stove because Molteni brings together traditional artisan works and the latest in cooking technology. The time-honored gas functions are perfectly integrated with the most innovative cooking solutions, like induction plates, induction woks or teppanyaki. And above all each Molteni stove is crafted and assembled according to chef’s needs and preferences. “The morning and lunch services are extremely busy because we have 134 rooms and people usually have limited time so they come and leave at the same time. Thus we need to be really efficient and provide with seamless services. The evening service is different. People have more time to enjoy dinner with family and the a-la-carte menu contains 21 distinctive dishes in various sizes. “We have one of the biggest Molteni stoves in Asia, it is five meters long and split into two sides; warm and cold. The warm cooking side is for sautéing, grilling or boiling. And the cold front cooking side is for plating. Our Molteni is unique and customised following my indications thus all garnishes, seasonings and herbs stay fresh and flavourful close at hand.